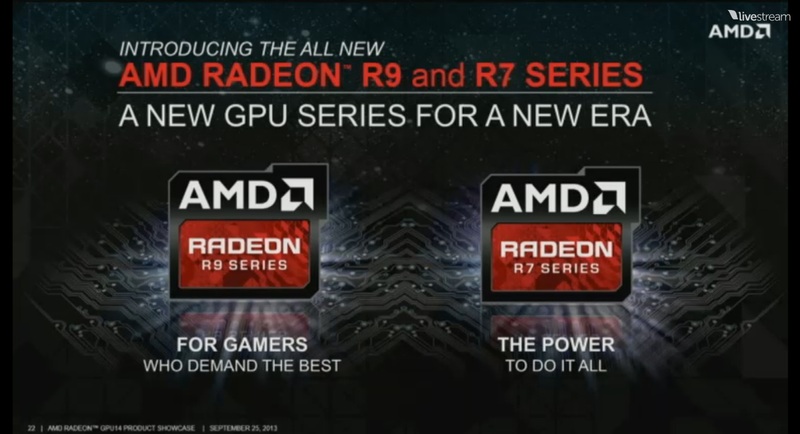 AMD has announced that select cards from the Radeon R-200 series will be available to buyers as soon as 8 October 2013. Review embargoes of these cards will be lifted on the same day and will be available for purchase in the US, Canada and Europe. 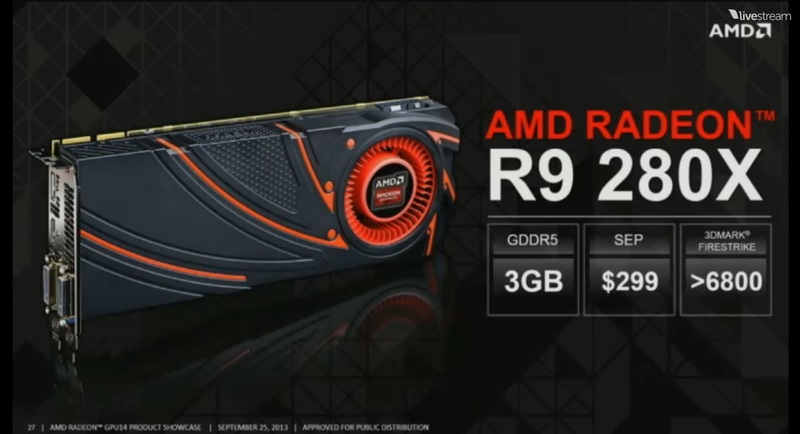 The cards launching on 8 October include the R9 280X, the R9 270X, and the R7 260X. 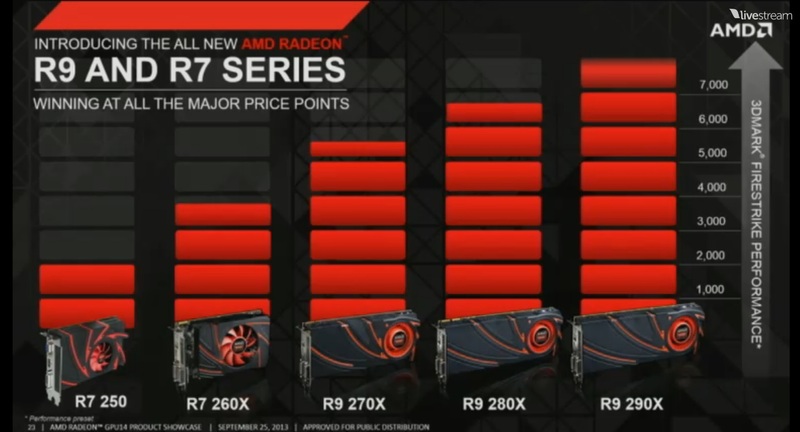 These are based on the Radeon HD7000 series, will be tweaked with better power profiles, and retail for a lower launch price than the cards they’re based on. We are still waiting on confirmation of South African launch details. 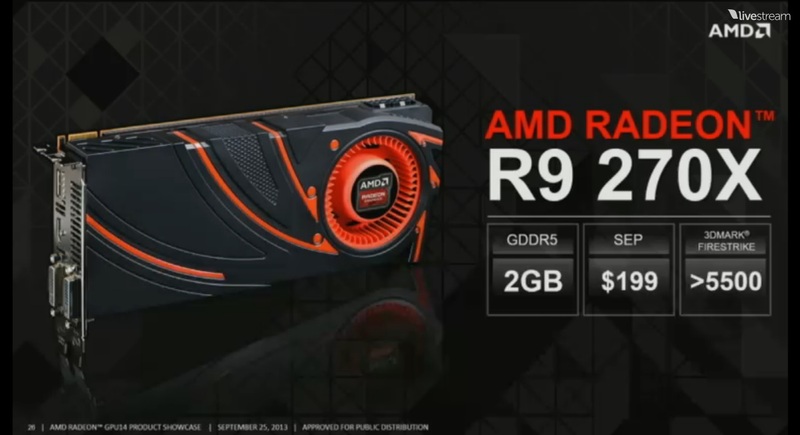 The flagship Radeon R9 290X will also be going on sale on 15 October in the US, Canada, Europe on 14 October. The R9 290X is aiming for performance parity with the Geforce GTX780 and should retail for a lower price, around $599 (approx R6,066). Although clock speeds at the moment are not set, the results in the table above are taken from TechpowerUp, the makers of the GPU-Z application. Their database is already being filled with some validations of the new cards and these specifications are listed on their website. All specifications are not final. The Radeon R9 280X is based on the outgoing HD7970 and more resembles the vanilla HD7970 than the GHz Edition variant of the same card. It will replace the Radeon HD7950’s price point at $299 and offers GTX680-class performance for only $50 more than the new Geforce GTX760. The R9 270X is based on the popular Radeon HD7870LE/XT, which was a mixture of parts from the HD7870 and the HD7950. 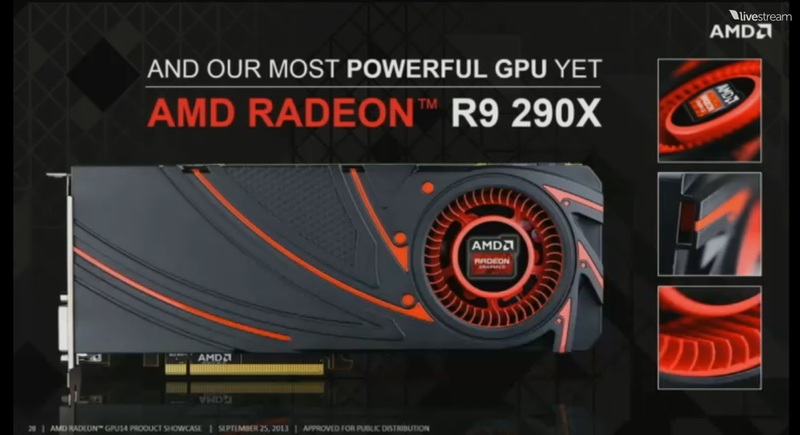 It will retail for $199 in the US, offering HD7870-class performance for the same price as the Radeon HD7850. Finally the R7 260X is based on the Radeon HD7790. It will offer roughly the same performance as the Geforce GTX650 Ti Boost at a lower price. 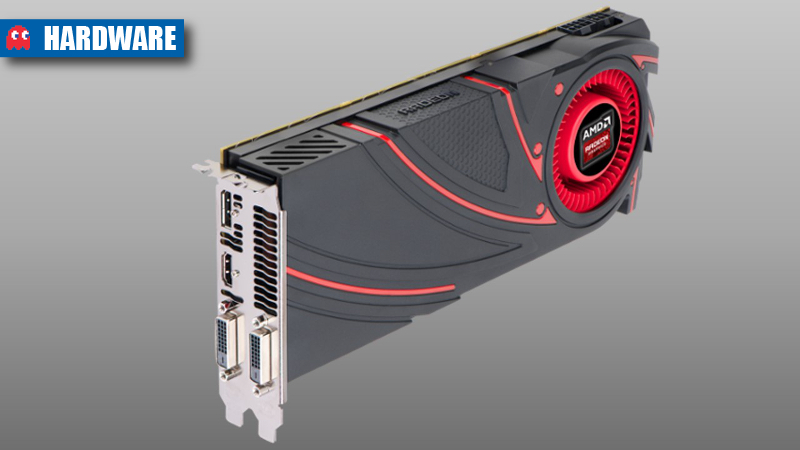 The Radeon R9 290X is based on an entirely new chip design but still shares the same Graphics Core Next architecture. Preliminary benchmarks suggest that it beats or matches a Geforce GTX Titan in most benchmarks and will retail for a lower price than the GTX780. 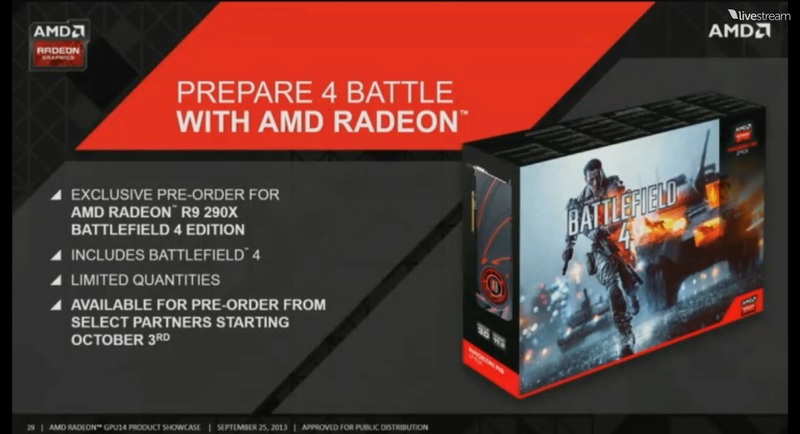 The R9 290X will be available for pre-order in the US, Canada and Europe on 3 October with a Battlefield 4 package.